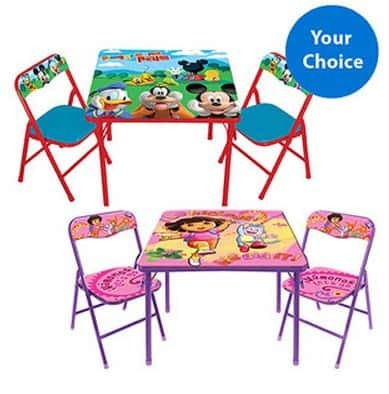 The Character Corner Toddler Activity Table & Chairs Set is on sale for $26.98 at Walmart.com right now. That's 18% off the regular price of $32.97! Choose from 16 different characters that toddlers love!